Web mapping service Google Maps has released a motorcycle mode for Vietnam and other Asian countries, including Singapore and Thailand. The new service allows users to see shortcuts unavailable to cars and posts travel times based on motorcycles’ average speeds. Additionally, users will also be able to see toll roads and roads unavailable for motorcycles, helping them map out better routes. Right now, the new mode is only available for devices with Android 4.4 or above. It is unclear when it will get to the web or iOS devices. 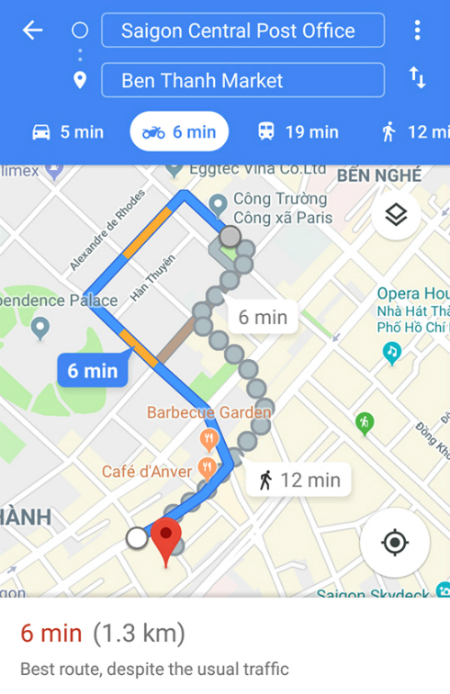 A motorcycle route between Saigon Central Post Office and Ben Thanh Market as suggested by Google Maps on a Samsung cell phone. Google Maps’ motorcycle mode was first launched in India last December, one of the many world markets in which motorcycles are popularly used as vehicles. It is currently operational in Malaysia, the Philippines, Thailand, Vietnam, Taiwan, Hongkong and Myanmar. Over 800,000 motorcycles were bought in Vietnam during the first three months of 2018, an equivalent of approximately 9,000 motorcycles sold per day, the Vietnam Association of Motorcycle Manufacturers reported in April. 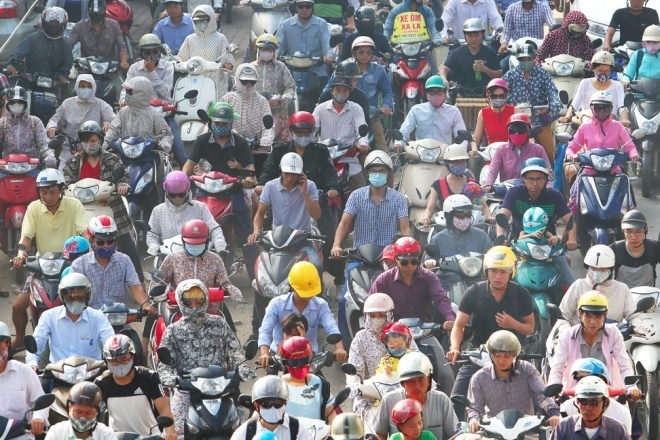 As of last year, motorbikes remain the most popular means of transportation in Vietnam, which has a population of around 92 million people and 45 million registered motorbikes, according to the Ministry of Transport.